Fiona did her first Bikram class over 15 years ago. She remembers giggling through the breathing exercise , wearing way too much clothing but leaving on a high. At the time Fiona had a knee injury and was eager to find an alternative way to heal it. After a few attempts, Fiona finally stuck with the Bikram series. In addition to no longer limping and being pain free, she noticed so many additional benefits, mentally and physically and quickly realised she would always be practising this series to maintain a daily sense of well being. Fiona used to be a primary school teacher in Dublin before moving to NYC to study dance. Between her passion for teaching and interest in movement and the human body, teaching yoga was a natural progression for her. Fiona did her training in fall 2007. 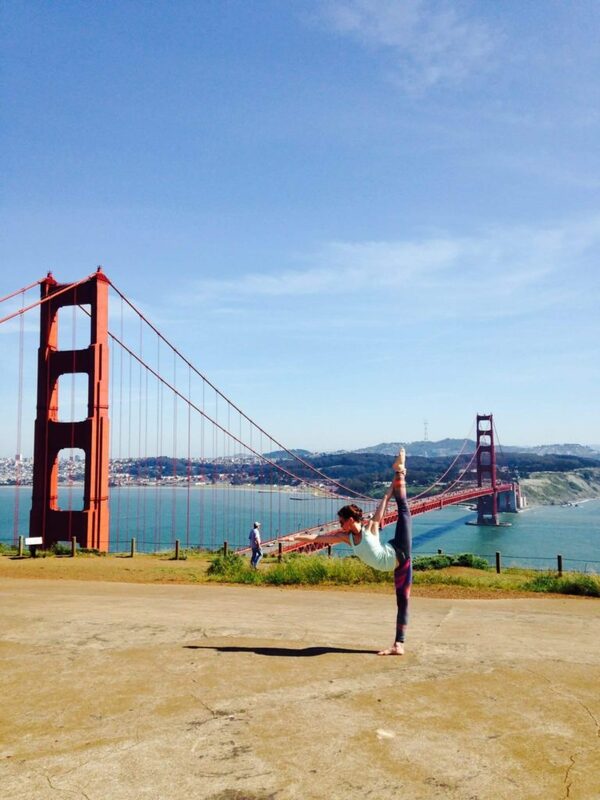 Since completing her Bikram training, she’s been teaching full-time around the globe. Soon after teacher training Fiona dedicated many years training for the International Bishnu Ghosh Yoga Competition under the direction of her teachers, Mary Jarvis and Esak Garcia. She was honoured to represent Ireland in the Ghosh Cup for the last 6 years and finished amongst the top ten in the 2015 international final. Fiona’s mindful approach and attention to detail is evident in her classes. Her knowledge of the postures and the precision in which she teaches these, will always help you achieve your best in any given class. Alongside the Bikram training Fiona also completed a Vinyasa training under Jared McCann ( NYC, June 2016) and a Yin training (London, September 2016). Despite throwing herself into many styles of yoga, Fiona always come back to the Bikram series as a foundation for her daily practice. Fiona also teaches a non heated yoga-conditioning class and a vinyasa class. She holds regular posture clinics, workshops and enjoys coaching competitors. We welcome Fiona to the Hot Bikram Retreats teaching team, she will be teaching at our Ibiza, Spain summer reatreat 2017. Get excited for a week of sweating and plenty of Bikram yoga.